Lots of boards, but none of them are a Raspberry Pi. It's a whole new chapter for me! Despite this blog being all about my adventures and struggles with the Raspberry Pi, I occasionally dip my average toe into the sea of other devices (or at least buy them and let them collect dust – I bet many of you can relate to that!). For example, last year I received a PcDuino3 but quickly got confused and put it back in my cupboard (I was relatively new to coding then). Despite this failure, I then went and bought a PiDuino board from SKPang at the Southend Raspberry Jam which I’m still yet to try out. Then earlier this year I received a preview version of the RasPiO Duino which I had a short play with as part of a review, but have since ignored through my perceived lack of ability. 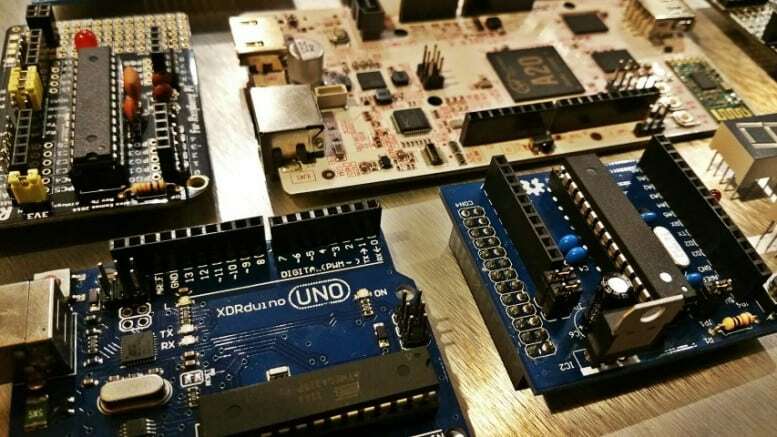 Lastly, and very recently, I bought myself my first ‘standard’ Arduino – an Uno clone. Clearly I should stop buying these things and actually use one of them? That last point is the key here. I’ve been so pre-occupied with the Raspberry Pi that I’ve ignored some of the other devices that are equally as good for learning electronics and programming. After all, they say variety is the spice of life – which makes my current coding ‘world’ as bland as a bread roll. So I decided 2015 should be the year where I broaden my coding horizons and finally sit down and spend some time with these unfamiliar devices. Before I do any of that, I wanted to show you a few of them that I’ll be trying out – and yes – none of them are a Raspberry Pi *GASP*! This isn’t necessarily an Arduino board – but it is ‘Arduino compatible’ – whatever that means. This is the first non-Raspberry Pi device I received, and what an interesting day that was. I felt like the Pi was my wife, and the pcDuino was the fast blonde I had picked up in a sleazy bar and taken back to a cheap hotel (just for coffee of course). The pcDuino3 – not an Arduino, but it’s Arduino compatible. Yeah I’m confused too. 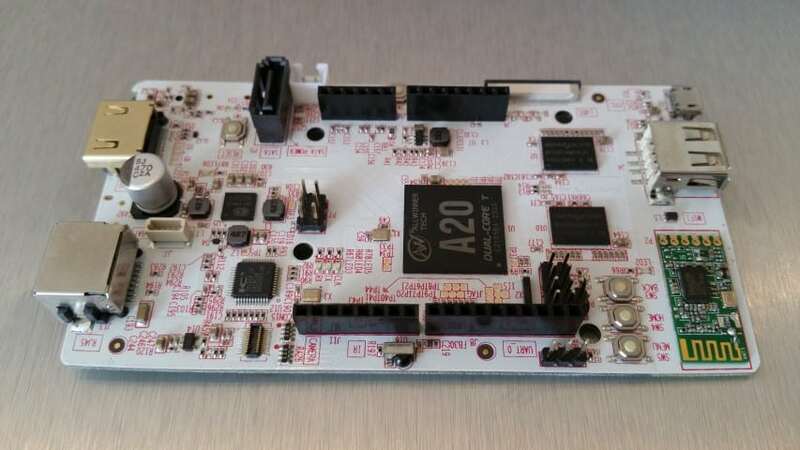 This thing has a SATA port, built in infra-red, two micro-usb connections, built-in WiFi, a white PCB and is twice the size of a Pi, using a processor called an A20! I was certainly apprehensive, but slightly encouraged by the documentation that suggested that the board could run Python and had GPIO pins. Surely I could get an LED to light for a starter? 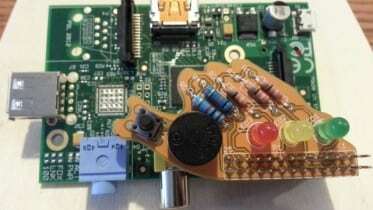 I spent about an hour looking into it, but after finding out the GPIO wasn’t quite the same as the Pi, and that the Python was written slightly differently, I got a little overwhelmed and decided to shelve the device until I was at least more comfortable with my wife Raspberry Pi. What happens when you put two university friends together, one a hardware guru and the other a programming buff? You get a cool device with some decent code examples! I’m talking about Sukkin Pang (SKPang), David Whale, and the PiDuino board. The PiDuino was the first board I had seen that added an Arduino to the Pi using the GPIO. I listened to their story and more about their device collaboration at a mini-Raspberry Jam in Southend, where they came down in their own spare time to show the product, teach a little, and answer some questions. It was great to see these guys getting stuck in with ‘the people’. The PiDuino is a little add-on board for the Raspberry Pi that gives you the best of both worlds – Arduino and Raspberry Pi – in one. The board is connected to, and powered by, the Pi’s GPIO (if you’re wondering how it works). David has covered the code side with some useful information and examples to get you well on your way. You can also find David at most Raspberry Jams and he’s usually quite approachable when it comes to answering any questions. Another Arduino/Raspberry Pi add-on board here coming from Alex Eames, the author of RasPi.TV. 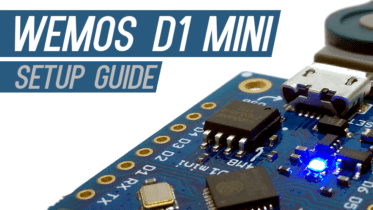 The RasPiO Duino gives you loads of pin-out options, and even a prototyping area. Alex released the Duino under the ‘RasPiO’ product line name, over at popular crowd funding site Kickstarter. Having a large community of followers and maker friends, and a cool product up for grabs, it didn’t take him long to get funded. 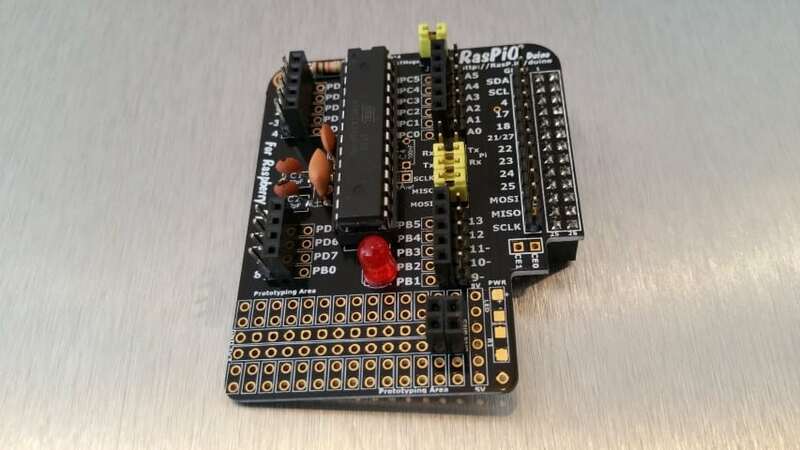 The RasPio Duino offers similar Arduino functionality as the PiDuino above, but has a lot more pin-out options and a prototyping area within the board itself. In fact key ‘selling point’ for me was that the Kickstarter was almost equally about the tutorials as it was the hardware, which is exactly what I needed as an Arduino beginner. So…PiDuino or RasPio Duino? The device you choose depends on what you want to do/make…I got both just in case! Check out my closer look at the RasPiO Duino here. After buying a couple of Raspberry Pi/Arduino ‘merger’ boards, it occurred to me that I should probably start at the most basic level of Arduino before trying to use them alongside the Pi. A quick search over at cheapo Chinese site Deal Extreme brought up this little number, the XDRduino UNO. 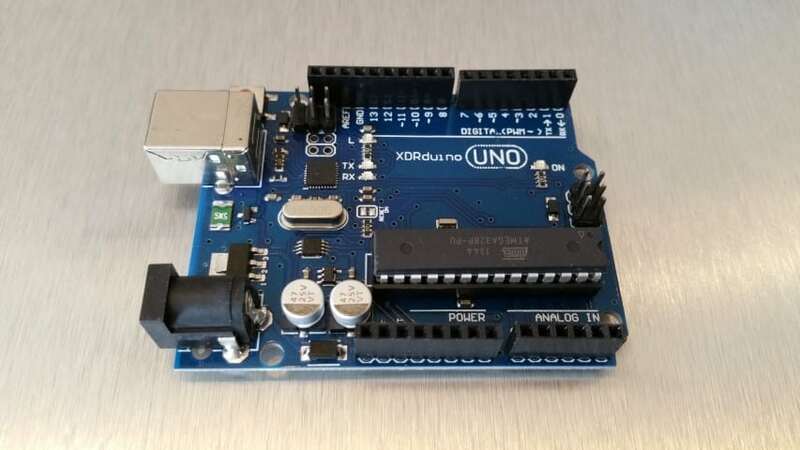 My first ‘standard’ Arduino board – The XDRduino UNO clone. At first I was a bit confused as to whether this was an Arduino, a copy, or something else altogether? As usual I used the product reviews to steer me, and most indicated that this worked exactly the same way as a ‘proper’ Arduino Uno. 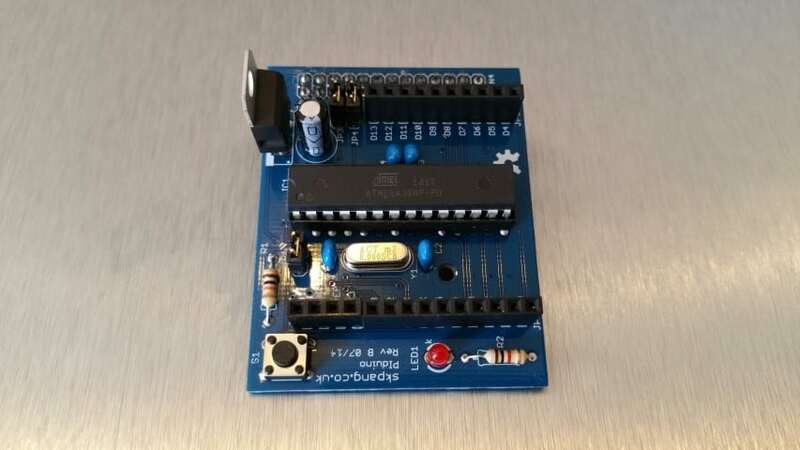 Is it taboo to buy an Arduino clone? Perhaps I’ve just done the equivalent of buying a Banana Pi and showing all my Raspberry Pi friends my great new toy? Anyway, this will probably be the primary focus of my non-Raspberry Pi devices as it’s the original style board that most people start off with. It feels like I should get to grips with this before I move on to the Pi-based Arduino add-on boards. The first thing I’ve already tried is running Android on the PcDuino3. I struggled to do this previously as I didn’t understand (read) the instructions properly, but a couple of weeks ago I tried again and got it up and running. It was good timing as well as our aerial was broken at the time, so I made use of the Android TVCatchUp app on my TV whilst it was being repaired. More on that story soon. 2 Comments on "Average Man Vs Arduino"
Looking forward to this series. I just got one of these off ebay for a little over $3 and just went ahead and bought a bunch of other sensors and other stuff because they would combine shipping. All sorts of good stuff to play with for very little.